After your phone interview, it’s easy to submit candidates to multiple clients or hiring managers through Honeit.com. Just select the candidate(s) you’d like to share. Choose which interview highlights (audio excerpts from your phone screen) you’d like to include, along with their resume, skill tags and interview summary. Voila! 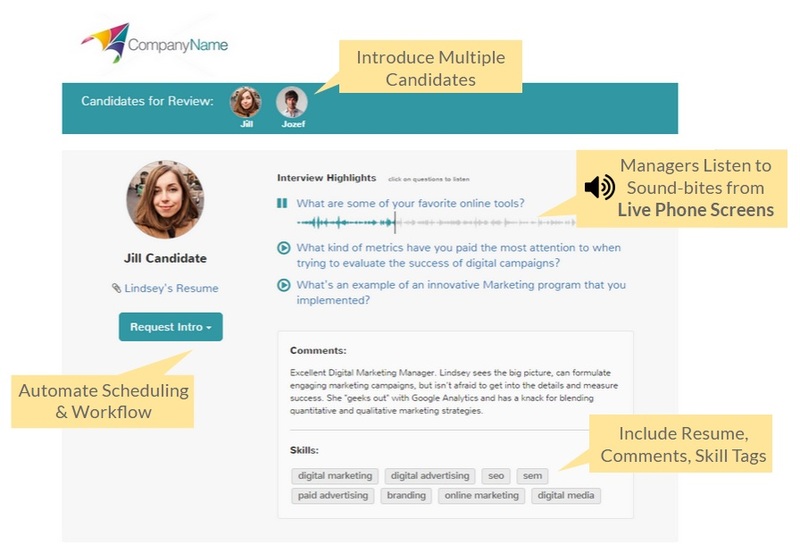 Use an email template to quickly submit talent in a new dimension, to accelerate the interview experience and showcase their personality, domain expertise and communication style.